Come one. Come all. Watch how the mind of Donald Brink bends rectangles into the world most unique water craft. After the shape is complete, we will raffle off the board. Must be present to win. See you here. 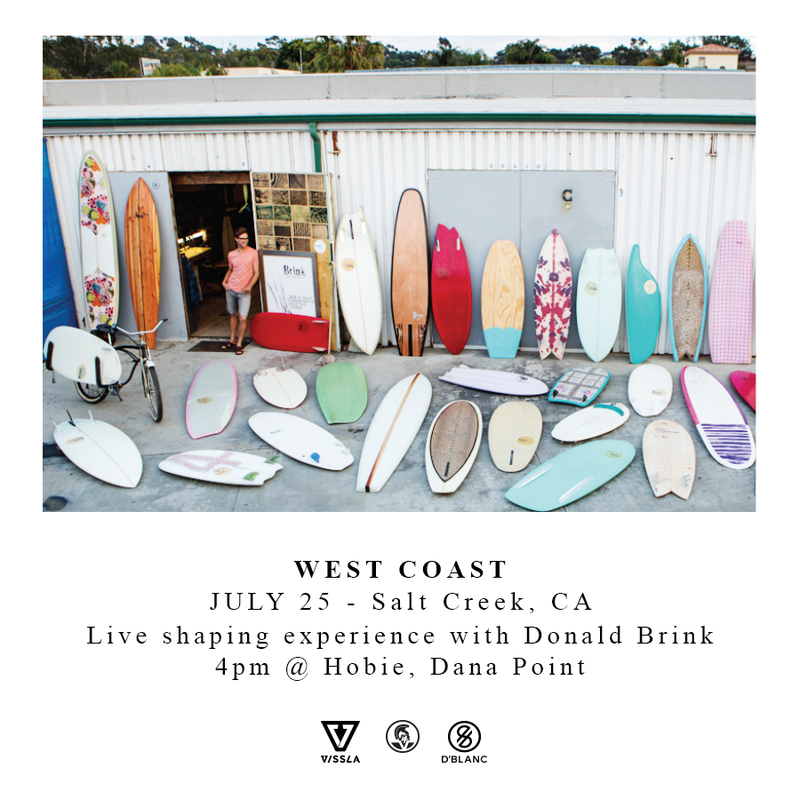 This entry was posted in Hobie Surf and tagged asymmetrical surfboard, california, craetors and innovators., Dana Point, donald brink, Hobie Shop, Hobie Surf Shop, longboard, Shaper, shortboard, style, surfboard raffle, Surfing, surfshop, vissla. Bookmark the permalink. ← Hobie Shop :: Beach Wedding Season is Here! And We Have Style Picks! !